I've reached that stage in life now where adult life really starts; I've turned eighteen, finished school, been on holiday without my parents, and started working five days a week. This shift (which has happened rather quickly) has led me to do a lot of thinking about the person I want to be, which has actually led me to the realisation that it's okay to just be. While goals, aspirations and dreams are important, there are some aspects of ourselves and our lives which can't be changed, and they may actually be better that way. Most of us have things we might like to change about ourselves, and although aiming to enhance qualities such as compassion, honesty and patience is healthy, wanting to be anyone other than you isn't. I've had first hand experience of this, and I can assure you that wishing you were someone or something different is exhausting, and ultimately only knocks your self-confidence further. But where to start? If you struggle with self-esteem, the idea of loving who you are can be daunting and may even seem an impossibility, but it's not. There are so many resources out there with tips and exercises to help with self-love; YouTube videos, books and e-books, blogs, the list goes on. It's hard to say exactly where to start because everyone is different, and what works for one person may not work for another, but the common denominator among all of those tips and exercises is to stop criticising yourself and start complimenting yourself, and trying to be someone you're not comes under the 'stop criticising' part of that. By wishing you were different, you're wishing away the person you already are, telling yourself that you're not good enough. If someone else were telling you every day that you had to speak a certain way, dress a certain way, be into certain things, or be a different person altogether, pretty soon that would grind your confidence down to dust. When you say those sorts of things to yourself day in and day out, the exact same thing happens. But, on the other hand, if someone were to compliment you each and every day, telling you how wonderful you are, how funny you are, how interesting you are, how attractive you are, after a while you would start to feel pretty good about yourself, right? So be that person. Don't be the one who knocks you down every day and destroys your confidence, be the one who gives you daily compliments, who tells you that you have every reason to be confident and love yourself, exactly as you are. Each one of us is so unique; our personalities so complex and multi-faceted, like diamonds; and that is something that most certainly deserves to be celebrated and embraced. If we work with what we are rather than against what we're not, life becomes much easier, and in time we start to feel much more in tune with ourselves, and we no longer have to 'try' to be. Instead, being becomes effortless, as it should be, and we can use the energy we would have spent trying to forge a new personality for ourselves on developing our true personalities and letting them flourish, becoming more and more unique as individuals and finding out more about who we are. A life of self-discovery and self-exploration is far more fulfilling and exciting than a life spent trying to squeeze yourself into a mold and neglecting the brilliant, one-of-a-kind being you really are. 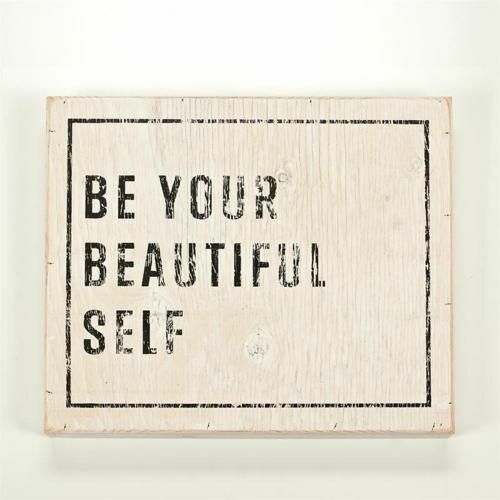 Just be your beautiful self. Just wanted to say I love reading all your posts - they always make me reflect and think about things! I'm so glad you enjoy them, and it means a lot that they speak to you. Thank you!